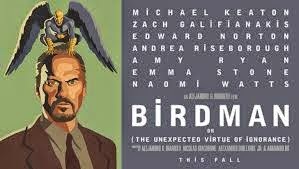 I like Alejandro G. Iñárritu's directorial work, and a movie starring Michael Keaton was a plus. 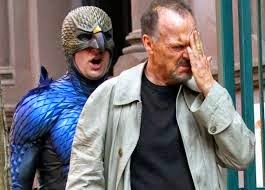 A trusted friend had seen Birdman in Telluride and gave it high marks. Off to the movies! Keaton's work has grown darker, so I wasn't sure what to expect. Would he be the antic Beetlejuice? Or, the square-jawed, somewhat reluctant patriarch of Batman? Y'know, the daddy who makes it clear that nobody else is capable of saving the world so he'll have to do it? 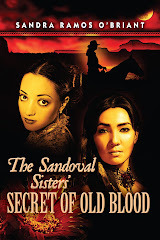 The story rushed headlong into all the hard questions revolving around love, death and what gives life meaning, but they were overlain with the pop culture vagaries that make everything and everyone seem shallow these days. 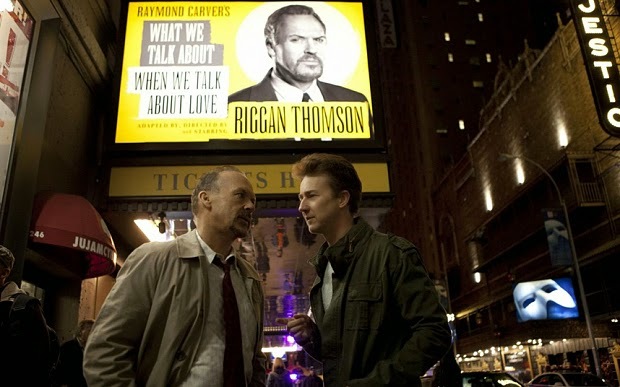 The movie opens with Riggan (Michael Keaton) in his backstage dressing room floating cross-legged with his back to us. I rolled with it and marveled less at his yogic weightlessness than with the question of whether he knows one of his shoulders is higher than the other and if it's painful. The camera holds steady, tightening in, for perhaps the longest scene in the movie. This was a relatively peaceful moment . . . except for the voice which irritatingly dominates Riggan. We've all heard that voice, the one telling us to doubt ourselves. Riggan is a loveless actor staking his life and reputation on Broadway in a production of Raymond Carver's, What We Talk About When We Talk About Love. The voice is telling him to abandon this theatrical exercise in "art" and return to the sure celebrity of his movie star roles. Death is not a member of the cast, but Riggan has heard its call. He wants his life to have meaning, but he is so not living in the moment. He reminds his ex-wife that "Farrah Fawcett died on exactly the same day as Michael Jackson," but no one noticed. Riggan does not want to be a Farrah Fawcett Footnote after he's gone. His just out of rehab daughter (Emma Stone) screams at him that he doesn't even have a Twitter account or a Facebook page, therefore his existence is nil. His love of self prevents him from giving her any credibility or feeling the love standing right in front of him. She sets up a Twitter account for him which garners over 80,000 hits. If Riggan had only listened to her, he could have self-actualized with selfies and lived online into perpetuity. The voice follows Riggan down narrow and twisting backstage hallways that are shadowed and not so clean. It quiets only when he is onstage. There he wrestles with dramatic egos other than his own. Lesley (Naomi Watts) is happy to finally be on Broadway and is not about to have the experience ruined by her boyfriend Mike (Edward Norton), who eerily echoes Riggan's vacuousness regarding love. His method acting means he's impotent except onstage. Riggan's lawyer and manager, Brandon Vander Hey (Zach Galifianakis) is a practical breath of fresh air in the stale oxygen residues left behind by other people. Cinematic, albeit satirical, references to superheroes and the actors who played them abound. At one point, Mike wonders if they'll replace him with Ryan Gosling. This is after he's flashed his six-pack for the viewer. Is Riggan experiencing existential angst or is he just crazy? Sartre said that life has no meaning...that it's up to each of us to give it a meaning, and value is nothing but the meaning that we assign to it. Personal love, the love between humans didn't matter to Riggan. They weren't as real to him as fame. He chose fame and went out with a blaze of glory . . . and lots of twitter hits.